Clarion Project has discovered that a private Islamic school in Dearborn, Michigan is linked to diehard supporters of Hezbollah and the Iranian regime. The school teaches students from kindergarten through 9thgrade. One of the academy’s founders, Fouad Bayoun, told Arab-American News that one of the purposes of creating the school was to pass along Fadlallah’s teachings to children in America. [The school] follows the same philosophy, mission and vision of Sayed Fadlallah,” said the school’s principal, Sheila Bazzi-Charara. On August 9, 2018, the academy posted an advertisement for an event it was holding with the Qaim Project, an organization led by the academy’s head of the Islamic Studies Department, Sheikh Mohammad Ayad (according to Qaim’s website). The bio states that Ayad studied Islamic Principles and Studies at Hawzat Arrasoul Al-Akram in Lebanon, an institution sponsored by Iran, according to the respected media outlet Al-Monitor. “Consider the current situation of the Muslim countries in the world. Look at the situation of Muslims, who currently make up one fourth of the entire world population. However, their role in world politics, even in their internal affairs, is far less important than the role of foreign governments and superpowers with evil intentions. A review of the speakers chosen by the academy to come teach the students shows the same radical pattern. On February 6, 2019, the academy held an event with Sheikh Usama Abdulghani, a D.C. native, who studied in Qom, Iran. The Clarion Project published an expose in September that showed how Abdulghani is a fervent supporter of Hezbollah and the Iranian regime and preaches that Muslims should follow them. On November 9-11, 2017, the academy hosted a series of lectures from Sheikh Amin Rastani, an avowed supporter of the Iranian regime and another student of the regime-friendly religious school in Qom, Iran. In 2014, Rastani spoke at the Imam Khomeini Conference in London, named in honor of the original founder of the Islamic revolution in Iran. He praised Khomeini as the “complete package” to look for in a leader. “Imam Khomeini shook the world and freed the world as we know it, he freed the masses,” he said. Throughout his speech, Rastani was flanked by two giant pictures of Khomeini and Iran’s current leader Ayatollah Ali Khamenei. What are students learning from the Great Revelations Academy? The public Facebook page of the academy features pictures that, at first glance, are innocuous until one looks closer. For example, on February 16, 2018, a picture was posted to the Academy’s Facebook page that showed a student in a room with a picture of Iranian Supreme Leader Khamenei on the wall behind him. This picture was “liked” by Wafaa Beydoun, the academy’s daycare lead teacher. Her page indicates she is from Beirut, Lebanon. The committee that founded the academy was from the Al-Mabarrat Charitable Organization, an organization that the academy holds fundraisers for. Founded in 1992, Al-Mabarratt in America has Sayed Hassan Sobh listed as its principal officer. The head of the Academy’s Arabic department and an Arabic teacher for children, Fatme Mroue, taught Arabic for 11 years at the Mabarrat School in Bint Jbeil, Lebanon. The academy is just one of the many Iran-linked Islamic schools in America that Clarion Project has exposed. In Virginia, Clarion found that the Manassas Mosque held an event celebrating the 1979 Islamic Revolution that brought the regime to power. The event included “poetry and spoken word by our youth.” The Virginia mosque has a full-time private Islamic Community School with classes from pre-kindergarten through fifth grade. It also has a Sunday School program for children as young as five years old. In Maryland, Clarion Project reported in August that a radical pro-regime cleric runs the Jafaria Islamic School, which teaches children between the ages of five and 15. The cleric, Sheikh Abdul Jalil Nawee, also teaches classes on the Quran for children and teenagers at the Muslim Community School and Alim Academy. The Alavi Foundation, a front for the Iranian regime, has funded over 60 Islamic organizations in the U.S., including Persian and Islamic schools and mosques with private schools and classes for teenagers and children. The funding has continued in recent years, even though the U.S. government and Iranian dissidents have openly identified it as a front for the terrorism-sponsoring regime. These findings help explain why the Iranian opposition, inside and outside of Iran, has had difficulty in organizing a successful revolution to topple the regime. The Shiite religious establishment in the West has been largely hijacked by pro-regime and pro-Hezbollah theocrats. Today, the Iranian regime appears to realize that it has more support outside of Iran than inside Iran. On the outside, the results of its ideology and rule are most felt. Its network in America is likely viewed as a critical safety net—a way for the regime to survive if threatened and rebound if toppled. On March 6, the leader of the Tehran Islamic Revolutionary Courts said that the regime would rely upon radical Shiite militias it supports in Iraq, Yemen, Pakistan, Afghanistan and presumably Lebanon and Syria to come to the regime’s rescue if its survival is threatened by a popular revolution. This senior Iranian official thought he was reassuring his audience, but his boast revealed the regime’s deep anxiety and insecurity. Today, the future of Khomeini’s Islamic Revolution is not inside Iran. It is inside America and elsewhere — places where ignorance (in the case of the West) or instability (in the case of Iraq, Yemen, etc.) has permitted it to spread and establish an infrastructure. As Clarion Project’s forthcoming documentary, Kids: Chasing Paradise, will show, indoctrinating children is a requirement for the survival of any Islamist ideology’s jihad factories. Ryan Mauro is ClarionProject.org‘s Shillman Fellow, national security analyst and the director of Clarion Intelligence Network. Mauro is also an adjunct professor of counter-terrorism. He is frequently interviewed on top-tier television and radio. Justen Charters is a research analyst with the Clarion Intelligence Network. Alex VanNess is a research analyst for the Clarion Intelligence Network. He formerly served as a fellow at the Endowment for Middle East Truth, as director of the Middle East Peace and Security Project for the Center for Security Policy and as a staffer on Capitol Hill. University of Michigan Enabling Terrorist Sympathizers? EDITORS NOTE: This Clarion Project column is republished with permission. Yet another convert to Islam gets the idea that his new religion commands him to commit treason and mass murder. Despite the fact that this is a frequently occurring phenomenon, authorities have nowhere shown the slightest degree of interest in studying it. An Anderson man who pledged allegiance to the Islamic State has been sentenced for using weapons of mass destruction after authorities found several homemade explosive devices around Anderson County. Wesley Dallas Ayers, 27, was sentenced to more than 30 years in federal prison and five years of supervised release after previously pleading guilty, the U.S. Attorney’s Office announced Friday. Ayers admitted that he constructed and placed three explosive devices in various parts of Anderson County between Jan. 24, 2018 and Feb. 24, 2018, according to a statement from the U.S. Attorney’s Office. Ayers pledged allegiance to the Islamic State in letters and warned of a jihad, according to investigators’ testimony in a federal court hearing before he pleaded guilty. One of the devices, placed at the intersection of Travis and Martin roads in Anderson County, detonated and injured one person, according to the U.S. Attorney’s Office. The other two devices were located and intercepted by law enforcement before they caused any harm. Three hoax devices were also placed around Anderson County that resembled explosives but were not. In some devices, Ayers left notes indicating that more powerful devices were to come, according to the statement. His arrest came after a month-long investigation with the Federal Bureau of Investigation; the Bureau of Alcohol, Tobacco, Firearms and Explosives; the Anderson County Sheriff’s Office and various other law enforcement agencies. Authorities searched Ayers’ property that showed items consistent with the manufacturing of explosive devices. EDITORS NOTE: This Jihad Watch column with images is republished with permission. The featured image is by Pixabay. Muhammad owned slaves: “Narrated Anas bin Malik: Allah’s Apostle was on a journey and he had a black slave called Anjasha, and he was driving the camels (very fast, and there were women riding on those camels). Allah’s Apostle said, ‘Waihaka (May Allah be merciful to you), O Anjasha! Drive slowly (the camels) with the glass vessels (women)!’” (Bukhari 8.73.182) There is no mention of Muhammad’s freeing Anjasha. 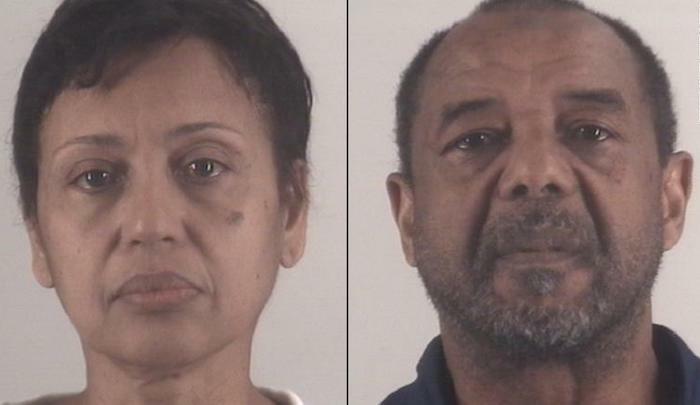 A couple who enslaved a West African girl at their home in Texas for 16 years have been convicted by a federal jury. Mohamed Touré, the son of Guinea’s first president Ahmed Sékou Touré, and his wife Denise Cros-Toure arranged for the child to travel to the US when she was only five years old. They forced her to cook, clean and look after their biological children without pay, beat and whipped her and called her a “dog” and a “slave”. The girl eventually managed to escape from the house in Southlake with the help of concerned neighbours in 2016. Touré and his wife now face a maximum of 20 years in prison after being found guilty of forced labour, conspiracy to commit alien harbouring and alien harbouring…. The Department of Justice said Touré and his wife were from “powerful, wealthy, and politically connected families in Guinea”​ while their victim was “uneducated, impoverished and from a small, rural village”. When the girl’s mother learned the couple had arranged to bring her to the US in January 2000, she unsuccessfully attempted to hide the child. Once in Texas the couple isolated the girl and prevented her from going to school – unlike their own children, some of whom were around the same age. Whenever she disobeyed or did not satisfy the couple’s demands she was physically and verbally abused to maintain her compliance. The punishments included being whipped with an electrical cord, being hosed down with water in public and being thrown out of the house and forced to sleep alone in a nearby park…. EDITORS NOTE: This Jihad Watch column with images is republished with permission. The featured photo is by Keenan Constance on Unsplash. The Washington Post writer Jamal Khashoggi was Publishing Radical Islamic Propaganda. When will WaPo apologize? In 2018 the media has morphed, overtime, from publishing stories that are just untrue to publishing stories that are pure propaganda. It is not because the U.S. government is controlling the media. It is because the media actively supports one world view and is willing to abandon truth in order to influence politics on a global scale. There is a struggle in the Middle East. It is a tribal struggle that has been going on for nearly 1400 years. It is a struggle between Sunni (followers of the sunna, or “way” of Mohammed) and Shia (shi’atu Ali, “partisans of Ali). This struggle has manifested itself countries like Iraq and Syria. It is also a struggle of Islam against non-Islamic nations and peoples. It is a story that few dare to tell for fear of being labeled Islamophobic or worse a racist. Those who work to tell the truth about what is really happening in Islam have at best self censored and at the worst jointed with the terrorists. The Washington Post’s op-ed writer Jamal Khashoggi is but one example. When he was killed by agents of Saudi Arabia. Khashoggi was promoted by the media as a martyr. A man killed for his convictions. But what were his convictions? Khashoggi was a leading critic of Saudi Monarchy, a true rebel who wanted nothing else but democracy for Saudi people, he was revolutionary and a defender of Human rights. well, this is what Tom Friedman from NYT or David Ignatius from WaPo would like us to believe, but let us see the truth, Khashoggi was no different than MBS, he was born, raised and educated in the same KSA as Muhammad bin Salman, he served many kings and crown princes before Muhammad bin Salman started consolidating power after his father became the king in early 2015, the Yemen war or as it should be called Yemen Genocide was launched months later by King Salman on the orders of de facto King MBS. Khashoggi was no different than MBS when it came to Saudi Shias, Yemen, Syria, Bahrain or Iraq. 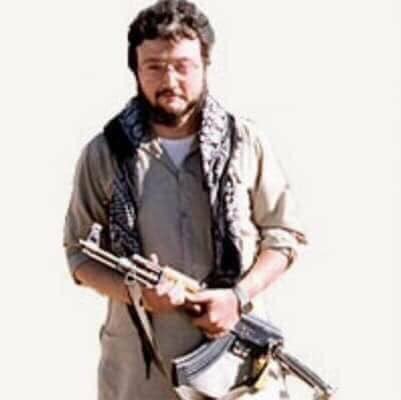 He participated in Afghan war against Soviets, along with other Salafist Saudi Jihadists. Jamal Khashoggi was as clearly a traditional Wahhabi who hated jews and shia like all good Wahhabis, he justified and celebrated when a Shia cleric Sheikh Nimr al Nimr, a Human rights activist from eastern province of Qatif was beheaded by the Saudi regime in January 2015. Maggie Mitchell Salem. Screen shot CSPAN. Perhaps most problematic for Khashoggi were his connections to an organization funded by Saudi Arabia’s regional nemesis, Qatar. Text messages between Khashoggi and an executive at Qatar Foundation International show that the executive, Maggie Mitchell Salem, at times shaped the columns he submitted to The Washington Post, proposing topics, drafting material and prodding him to take a harder line against the Saudi government. Khashoggi also appears to have relied on a researcher and translator affiliated with the organization. . . . Here is Qatar Foundation International’s Executive Director Maggie Mitchell Salem promoting the #ISpeakArabic Campaign. When the media portrays a op-ed writer like Jamal Khashoggi as: a rebel they mean terrorist, and a defender of human rights they mean defender of Muslim rights. When the New York Times and Washington Post portray Khashoggi as a revolutionary they mean one who is furthering the most radical form of Islam. The form of Islam that created al Qaeda and ISIS. Maggie Mitchell Salem and Jamal Khashoggi have the same vision – to make Islam dominate in the world. Sadly, many Western leaders have fallen for this propaganda and have their minds controlled by the media. https://fitnaphobia.com/wp-content/uploads/wapo-logo-red-line.jpg 360 640 Dr.Rich Swier https://fitnaphobia.com/wp-content/uploads/logotext_white_312x71.png Dr.Rich Swier2018-12-27 06:37:252018-12-30 05:13:50The Washington Post writer Jamal Khashoggi was Publishing Radical Islamic Propaganda. When will WaPo apologize? In the wake of the synagogue shooting last week in Pittsburgh, activists from several mainline Protestant churches came under fire for promoting a culture of anti-Semitism in their churches, especially the United Methodist Church. The worst offenders are usually activists affiliated with the Presbyterian Church USA (PCUSA) and the United Church of Christ (UCC). 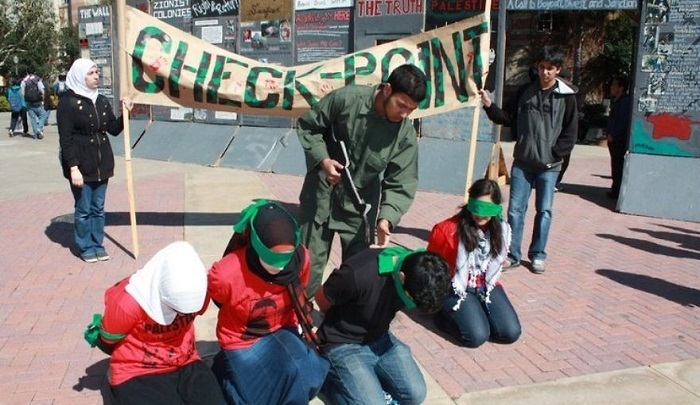 But this year, the activists and officials from the United Methodist Church took on a leading role by hosting the controversial “Christ at the Checkpoint Conference” in Oklahoma. Anti-semitism in the churches is longstanding, and while most of these churches are quick to claim that they’re apolitical, they are, in fact, very political. They condemn Israel and embrace the jihadist Palestinian agenda, claiming that the Palestinians are an oppressed group. They apparently know nothing of history and nothing of the jihadist agenda to obliterate Israel, as is articulated in the PLO, Hamas and Fatah charters. Or they pretend not to know in the face of charges of anti-Semitism. The political goal of the “Christ at the Checkpoint Conference” in Oklahoma was to flip American Christian support for Israel to the Palestinians. The political goal of the conference was to flip American Christian support for Israel to the Palestinians. The conference soon took on a more sinister tone. At one point, a speaker put up a slide of U.S. President Donald Trump surrounded by three of his advisers. The speaker asked the audience what was wrong with the picture. Audience members answered that the problem was that they were Jews, apparently angry that the American president had Jewish advisors involved in the effort to achieve a peace deal. EDITORS NOTE: This column with images originally appeared on Jihad Watch. It is republished with permission. The featured image is from the CATCUSA Facebook. This new edition of The Glazov Gang features Geert Wilders, the leader of the Party for Freedom. Mr. Wilders discusses The High Price of Telling the Truth About Islam, unveiling how Sharia is now ruthlessly ruling the West. EDITORS NOTE: This video originally appeared on Jihad Watch. Subscribe to the Glazov Gang‘s YouTube Channel and follow us on Twitter: @JamieGlazov. Please donate via our Pay Pal account to help us keep going.